If your vehicle ever requires frame straightening, do not fret, our team of technicians will get it back into excellent driving condition. The frames we straighten in the shop are calibrated back to manufacturer specifications so they are as true and durable as possible. We guarantee our work and hold our workmanship up against any body shop. If done correctly, by professionals like ours, the damage should not remain noticeable and there should not be any structural issues with the frame for the life of the car. Usually, damage to the frame of a car is caused by head-on or rear-end collisions that compress a vehicle's structure. This type of damage can cause your car to pull to a certain side or render it completely immobile. 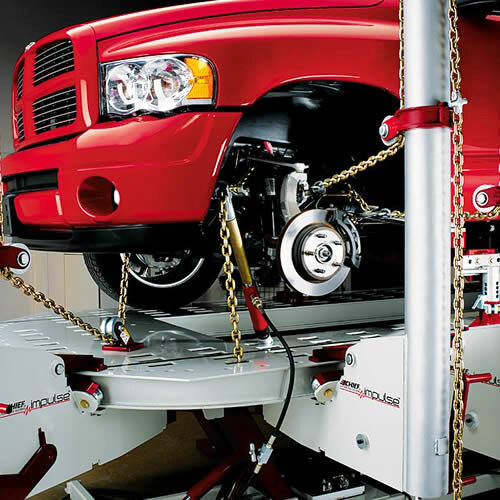 When the damage is more than just dents or scratches, and involves a bent frame, an auto body frame machine is a necessary tool to straighten the vehicle out. The first step in the straightening process is using up-to-date machines that will assess and diagnose the severity of damage to the vehicle. The diagnostics are then used to figure out if the vehicle can be repaired, the cost of repair, and how long the repair will take. 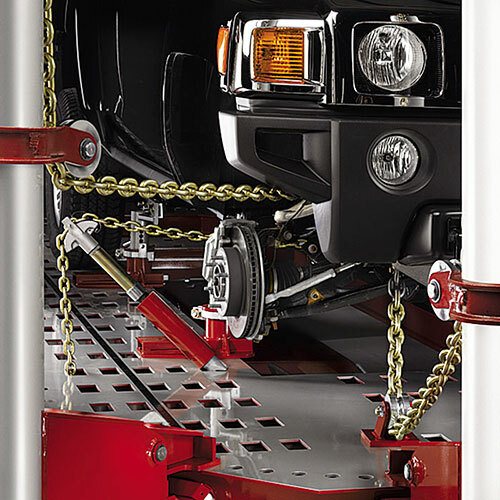 Based on the diagnostics taken earlier, chains are hooked up to certain areas on the vehicle’s frame where straightening is required. Once secure, the tower on the machine uses hydraulics to gradually pull the damaged section back to its pre-accident shape. 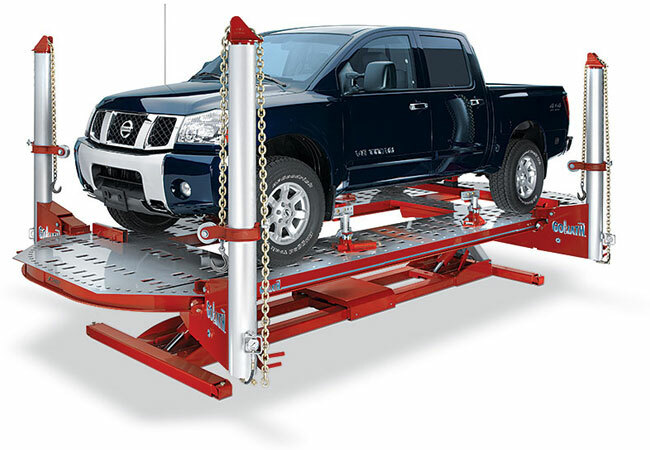 To ensure the adjustments are made correctly a computer verifies that every adjustment restores the vehicle’s frame to the manufacturer's specifications.